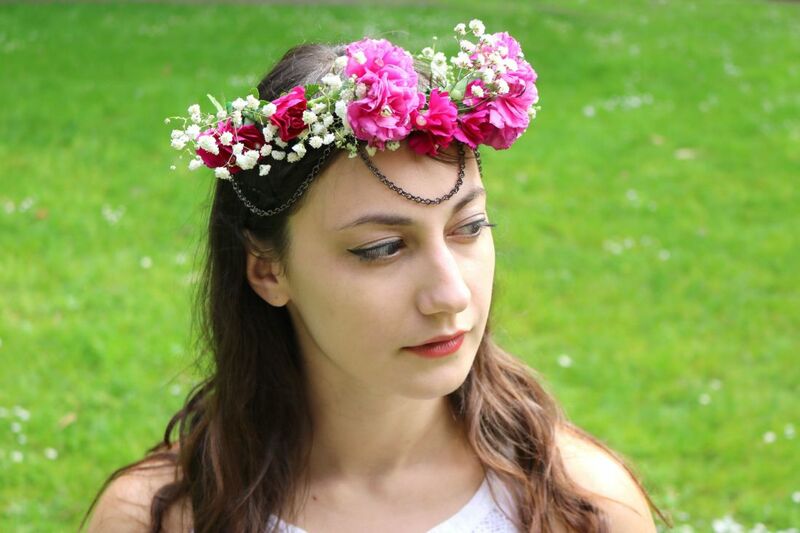 For the outdoor-loving DIYer, spring and summer is prime time for flower crowns. They’re basically wearable wreaths for the warmer seasons. And if you’re anything like me, you know all about the crafty potential of Mother Nature’s natural elements. I’m definitely that girl scooping up stones, twigs, feathers, and leaves on hikes and beach jaunts. Recently, I was asked to whip up a dreamy flower crown using unconventional materials. Unsurprisingly, I channeled my love for jewelry making by adding layers of draped chain and a healthy dose of studs, pearls, and rhinestones. The end result? The ultimate festival-friendly crown. Check out the full tutorial, right here!